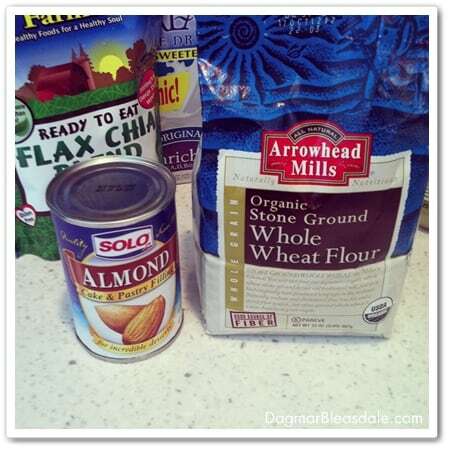 Are you looking for a healthy almond cake recipe? You are in the right place! I love almond paste, also known as Marzipan in Germany, where I grew up. It’s usually pretty expensive, so when I saw cans of almond paste for sale at the grocery store for $2, I bought two of them. Only, it wasn’t almond paste as I discovered when I opened the first can: it was almond cake filling. Hmm. I’m too frugal to just throw out the almond cake filling, and I love anything almond flavored, so I decided to make the almond cake recipe that’s on the inside of the can’s wrapper since I had all the ingredients in the house. 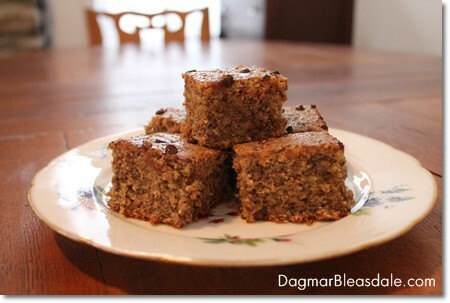 Well, you know me, I always improvise and try to make every recipe more healthy, and I ended up substituting a lot of the ingredients to make a healthy version of this yummy almond cake. I used mostly organic ingredients, but you don’t have to. 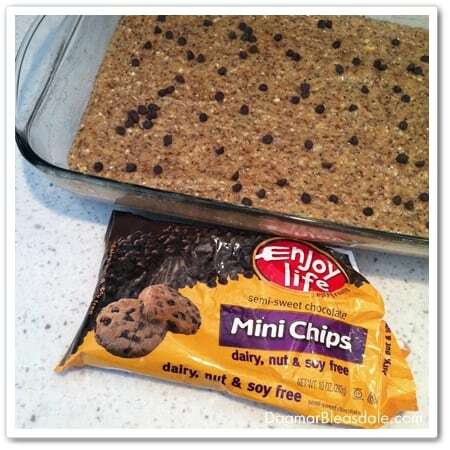 Also, not everybody has Xylitol or chia seeds in the house, so just substitute what you can. 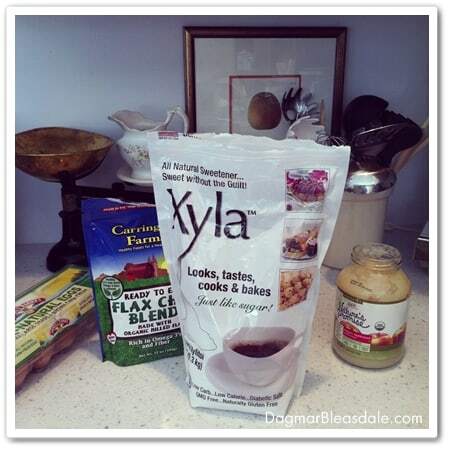 Wondering what Xylitol is? I wrote this post about it: Xylitol: The Natural Sweetener With Many Health Benefits. Xylitol is a natural low-glycemic sugar made from birch trees. Its metabolized independently of insulin and safe for diabetics. I also prevents cavities! Make sure you buy high-quality, non-GMO Xylitol, not the kind that is mad from corn in China. I always buy Xyla from Emerald Forest. 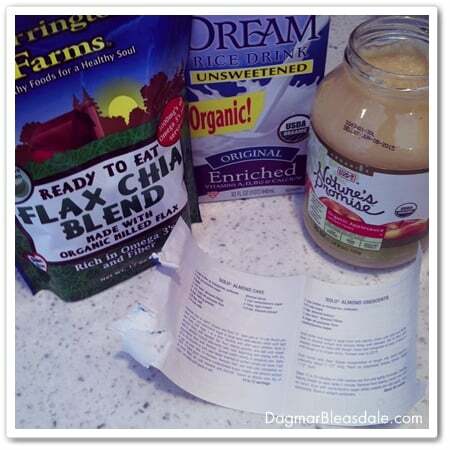 Wondering what chia seeds are? 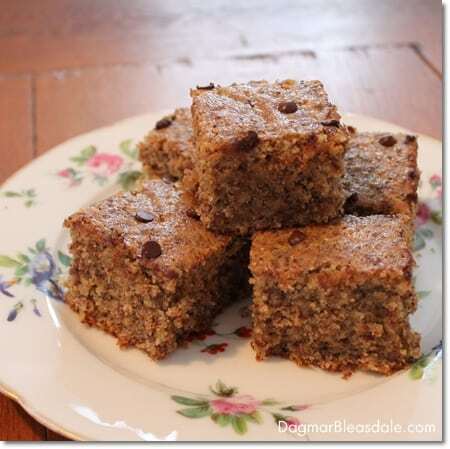 They are powerhouses of protein and Omega-3 that I also added to this recipe: Gluten-Free Brownies With Chia Seeds and Apple Sauce . 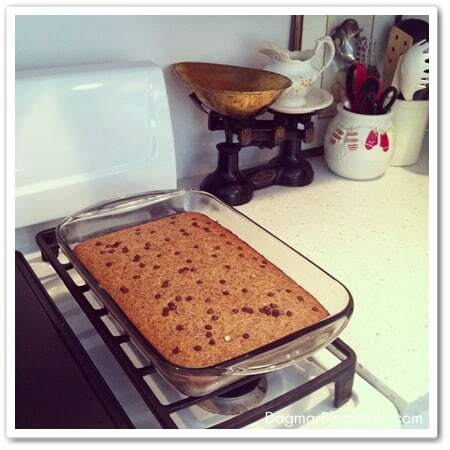 Grease and flour a 10″ or 12-cup cake pan — I used my glass one. 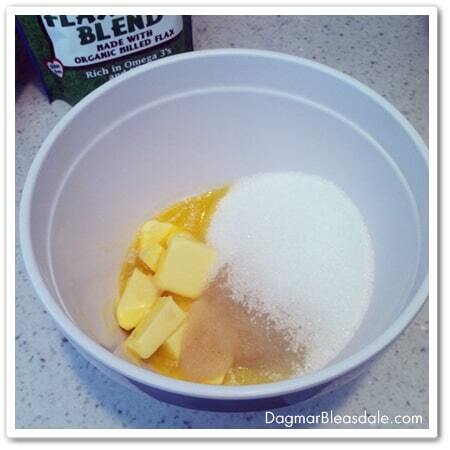 Beat butter, apple sauce, and Xylitol (or sugar) in a large bowl with an electric mixer until fluffy. Add eggs, 1 at a time, beating well. Then beat in the almond filling. Bake 50 minutes or until the cake tester inserted in the center comes out clean. Let cool in pan for 10 minutes, then remove from pan and let cool completely. The original recipe calls for an almond glaze, but I didn’t even make that. This healthy almond cake turned out so yummy, it didn’t need another thing. Let me know how yours turns out, and enjoy! 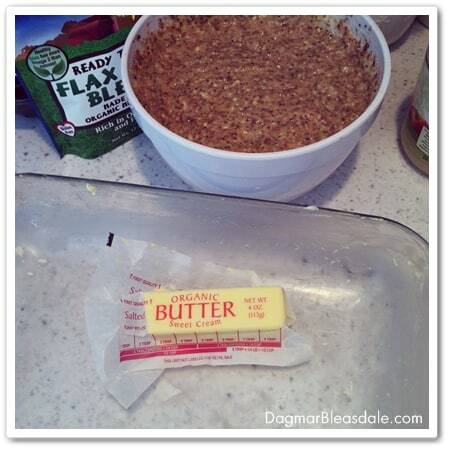 Do you usually follow the directions of recipes, or do you also like to improvise? 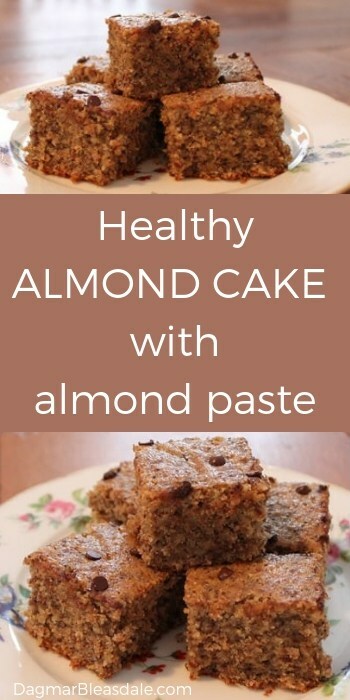 Pin this almond cake recipe for later! Here is another almond cake recipe. I’ve never heard of Almond filling before. Oh, it sounds wonderful! Thanks for linking up to Show Me Saturday! This sounds good. What’s in almond cake filling? I’ve never heard of it.